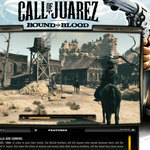 Western 3rd person shooter video game gets RSS driven website. 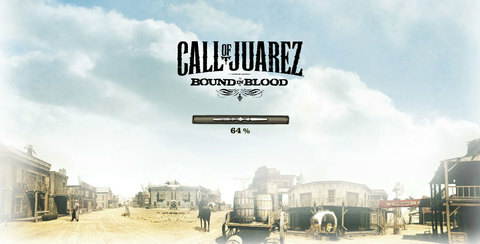 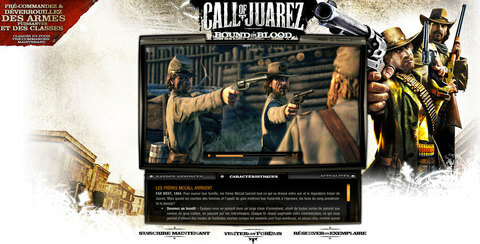 This original western style website was driven by the Ubisoft backend and gave the full cowboy experience, based on the Juarez video game series. 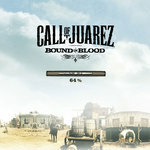 Alien communication animated and coded this website for publishing in 5 languages. 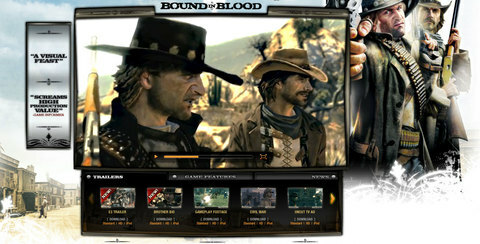 The site features an age gate, to make sure underage visitors are restricted from viewing, but once inside the user is presented with a visual feast of animation. 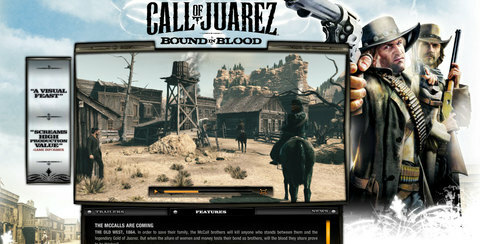 Then the fully dynamic data driven by Ubisofts CMS is pulled in and making this an easy to update and fun to use Flash website.